The most significant feature of the final outcome of West Bengal's panchayat elections is not the fact that the Trinamool Congress won. The true significance lies in what happened to other parties. The ruling party did steamroll its opponents. Pending the Supreme Court's decision on the fate of the constituencies in which there was no contest – amounting to about a third of all seats across the three tiers of the Panchayati Raj setup – the Trinamool Congress has won over 93 percent of seats in the zila parishads, 80 percent of panchayat samitis and 66 percent of gram panchayat seats. The corresponding figures in 2013 were 64, 57 and 51 percent. If the court declines to intervene and the results of the uncontested seats are held valid, these figures will go up significantly. There are signs, too, that many candidates who have won as independents (a large number of them being Trinamool rebels) will join the ruling party, as will those who have won on tickets from other parties (no anti-defection provisions apply in the case of the panchayats). In other words, the Trinamool Congress has gained a literally unprecedented stranglehold over rural self-government institutions. That the Trinamool Congress would win was never in doubt. The scale of the victory, too, was really not, given the matching scale of violence, intimidation and rigging that was witnessed in the run-up to and during the elections. The ruling party seemed loath to leave anything to chance. What is more interesting than this particular aspect of the results, however, is the emergence of the Bharatiya Janata Party (BJP) as the main challenger to Trinamool hegemony. The rise of the BJP has been at the expense of the Communist Party of India (Marxist). Significantly, both the CPM and the Congress have trailed the independents in the number of seats won in the gram panchayats. Before we examine the situation in some detail, one point needs to be made. The BJP's rise must be seen in relative terms. It is still way behind the ruling party as its poor showing in the zila parishads strongly suggests. Its gains have been principally through the acquisition of the support base of the CPM, which brings us to the most significant pointer to West Bengal's political future. This year's panchayat elections seem to have been a culmination, electorally, of a process that began with the 2008 panchayat elections, when the Left Front faced the first major challenge to its hegemony. Many elections later, it can now safely be said that the CPM and other Left parties have been practically wiped out from Bengal. The Congress' dominance of two districts – Malda and Murshidabad – has been expunged. The BJP clocked in a distant second in the latter district but posted a strong showing to be second in Malda. The question is what this means for Bengal's political future, especially given the BJP's new location. Electorally speaking, next year's parliamentary polls is what all parties are waiting for. The context is provided by the Trinamool Congress' clear objective of winning all 42 Lok Sabha seats. There will quite obviously be a big correction of the trends in these elections because the parliamentary elections will be conducted by the Election Commission of India and will be relatively fair. Nevertheless, it is difficult to see, as things stand, any outcome other than Trinamool winning an overwhelming majority of seats, though it may not win all 42. From the outset, it seems clear that the CPM will win nothing after the two it managed to win in 2014. Last time, the Congress won four out of five seats in Malda and Murshidabad. It's pretty certain that it won't be able to repeat that feat. There is a real danger for the party, in fact, that there will be an exodus of cadres, supporters and leaders at the local levels to the ruling party. It has happened in other places in the past. It belongs, then, to the BJP to spoil the Trinamool Congress' party. In 2014, the party won from two constituencies. One of them was Darjeeling, which is not relevant in this context since there are no panchayats in the hills. The second was Asansol. The ruling party has rolled the BJP over in this area. 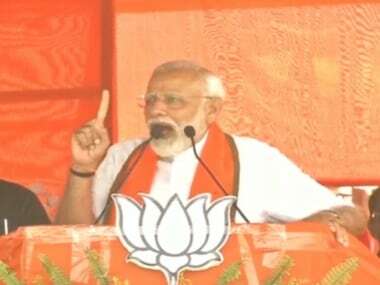 But the BJP has made unexpected and significant gains in tribal-dominated areas of three districts –Bankura, Jhargram and Purulia. It has almost matched the Trinamool in Purulia, the only district in which the Opposition has aggregated more seats than the ruling party as far as gram panchayat seats go. 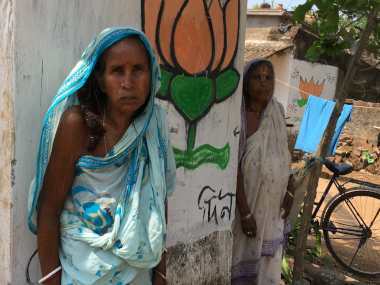 In Jhargram, the BJP has dogged the Trinamool closely, while in Bankura it has done creditably. These results have been made possible because the Sangh Parivar, especially the RSS, has been active in the tribal belts. The problem is that the surge at the lowest level has not translated into seats in the zila parishads, which most accurately represent the profile of the constituency. Nevertheless, the BJP can expect to provide a good contest in the three parliamentary constituencies these districts represent. Many had expected the BJP to do well in some north Bengal districts with substantial tribal populations. But it has done reasonably well in just one – Alipurduar. 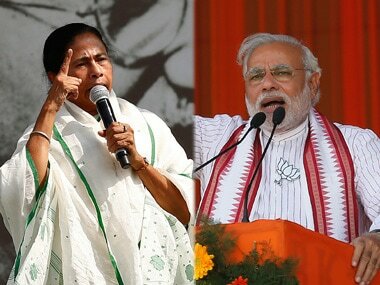 As the dust settles, therefore, Bengal will be looking at a new political landscape in which a pulverised Left has been replaced by the BJP as the main opposition party. 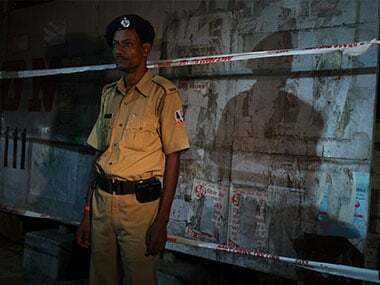 While the latter has cause to be quietly optimistic, Chief Minister Mamata Banerjee has more than good reason to be happy, in electoral terms, despite the violence and intimidation that went into escalating the scale of victory.